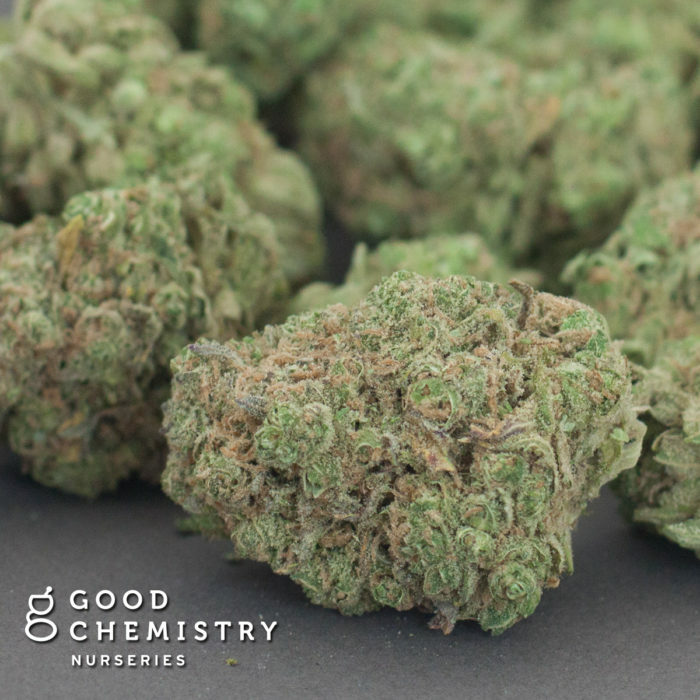 Exclusive to Good Chemistry Nurseries, “Ingrid” is a heavy indica strain that may be very helpful for night-time pain relief and sleep. Covered in trichomes, Ingrid boasts a cheesy scent accompanied by a sweet, skunky flavor. Take your time when consuming Ingrid, as the extreme sedative effects may not present themselves until 30 minutes after use. Good Chemistry classifications are based on Good Chemistry historical experience and are only applicable to persons 21 years of age or older. I picked up their in-house indica, the Ingrid, and was left thoroughly impressed. 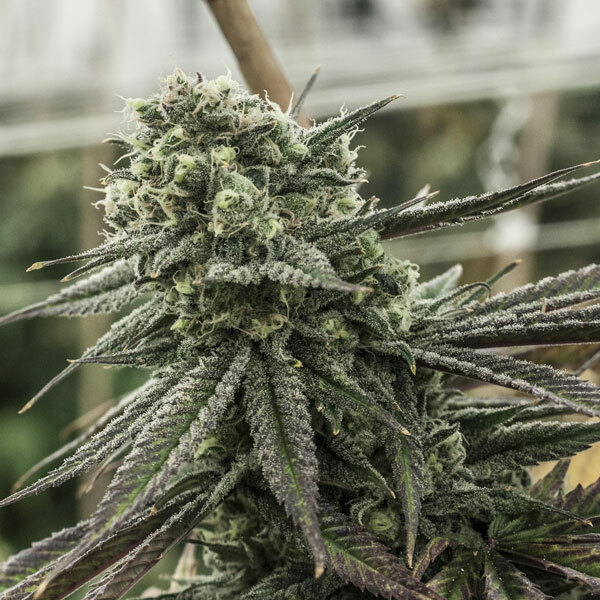 This is the quintessential indica, with a strong, cheesy-earthy smell, and a smooth, fruity smoke, which then pleasantly roundhouse kicked me into my chair, where I remained all night. I tend to get a bit of soreness in my feet and legs towards the end of the day, and the Ingrid was perfect for relaxing me into a warm puddle of giggly forgetfulness. Fortunately for you, this is the one strain they tend to have in stock quite often. Ingrid was a welcome surprise. Spicy and fruity flavors really pushed through — reminiscent of some Strawberry Haze — and the strain packed a mean punch. Don’t let Ingrid’s homely smell fool you. Burning this was like enjoying cheese and wine for dessert, and the knockout blow makes it an easy choice for insomnia or stress relief. With such strong and specific effects, my leftovers will be set aside for a rough day or when counting sheep just won’t cut it.